Hiddensee recreates the backstory of the Nutcracker, reimaging how this entrancing creature came to be carved and how it magically guided an ailing little girl named Klara through a dreamy paradise on a snowy Christmas Eve. It also brings to life the mysterious godfather Drosselmeier - the ominous, canny, one-eyed toymaker made immortal by Petipa and Tchaikovsky's ballet - who presents the once and future Nutcracker to Klara, his goddaughter. 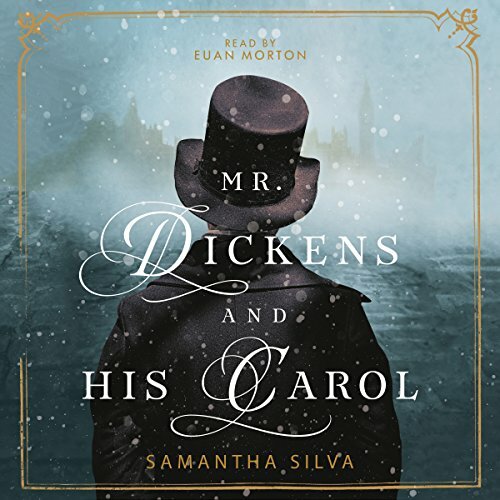 Laced with humor, rich historical detail from Charles Dickens' life, and clever winks to his work, Samantha Silva's Mr. Dickens and His Carol is an irresistible new take on a cherished classic. Charles Dickens is not feeling the Christmas spirit. His newest book is an utter flop, the critics have turned against him, relatives near and far hound him for money. While his wife plans a lavish holiday party for their ever-expanding family and circle of friends, Dickens has visions of the poor house. But when his publishers try to blackmail him into writing a Christmas book to save them all from financial ruin, he refuses. And a serious bout of writer's block sets in. Frazzled and filled with self-doubt, Dickens seeks solace in his great palace of thinking, the city of London itself. On one of his long night walks in a once-beloved square, he meets the mysterious Eleanor Lovejoy, who might be just the muse he needs. As Dickens' deadlines close in, Eleanor propels him on a Scrooge-like journey that tests everything he believes about generosity, friendship, ambition, and love. The story he writes will change Christmas forever. 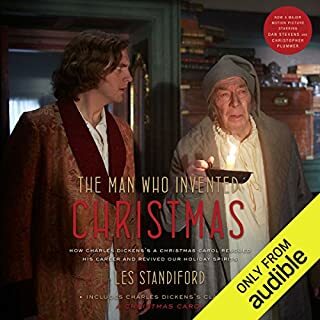 Full of holiday cheer and Victorian whimsy, Mr. Dickens and His Carol is the perfect audiobook to instill listeners with the Christmas spirit. I love Charles Dickens’ story. This is a perfect backstory. There are just enough references and a twist to move the story along yet remind you why you are celebrating the holiday. The reader brought each character to life. True enjoyment in every sense. I noticed that someone just before this review called this book a jewel. I could not agree more. It's an absolutely lovely book. I am grateful that the publisher invested in the narrator Euan Morton, whose work on this book is flawless. To me, this book is a Christmas Carol for our time. A Christmas classic in its own right! Ms. Silva has given readers and listeners alike a brilliant gift of her writing. She brings Charles Dickens to life in a way that allows his flaws, self doubts and troubled thoughts to shape the very fabric of plot. Her work is a tribute to Mr. Dickens in every respect and her writing is flawless. May I have some more, please? I would rate it 10 stars if I could. Really well written and well read book. Perfect way to get into the Holiday spirit. This is a clever heartwarming story. The author did a wonderful job and loved the narrator. What an awful story! I could not wait for it to end. 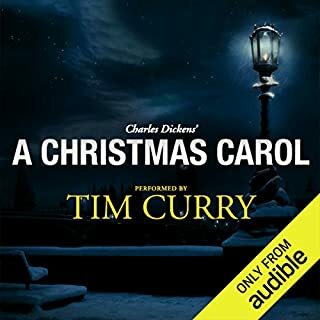 There is no charm here, just tedium as the author forces an angst-ridden Dickens to jump through all sorts of hoops to pick up the details for what will become A Christmas Carol. The narration is adequate but pedestrian. Listen to Tim Curry's narration of the original instead. 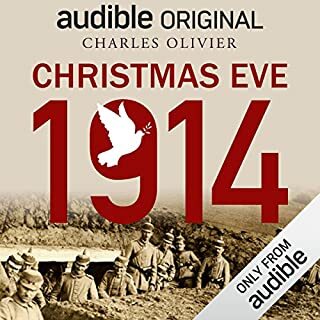 Audible gave it out free a few years back. 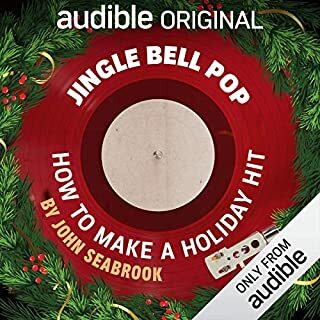 This was a refreshing listen during the holiday season. The narrator was fantastic! 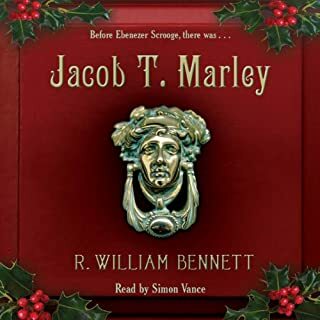 (I will look up books he has narrated and listen to him some more) The story was very a interesting travel back in time to Victorian England and Charles Dickens' life. I must sadly admit I did not know anything really about Mr Dickens and this was fun fodder for the holiday spirit and for a glimpse (Even though in fiction) into his writer's mind. (I enjoyed also looking up and learning more about this very interesting man due to this book) It was beautifully and almost poetically written and was a delight to marvel on. The only negative feedback I have is that Charles rolled around in martyrdom just a bit too much for me and then snapped out of it in a very unusual and somewhat unbelievable way. 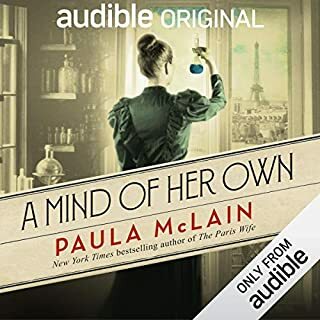 I did really enjoy the twist at the end however and will highly recommend this book to all listeners. Enjoy! I would start this book again right now if I did not instead feel compelled to listen to A Christmas Carol! This book will have to become an annual event. It is a terrific take on a how it happened to be written novel. I hope Silva writes many more books.